Experience the difference with this 7" long and 1 1/4" diameter massager. The contoured head provides sensuous heat. 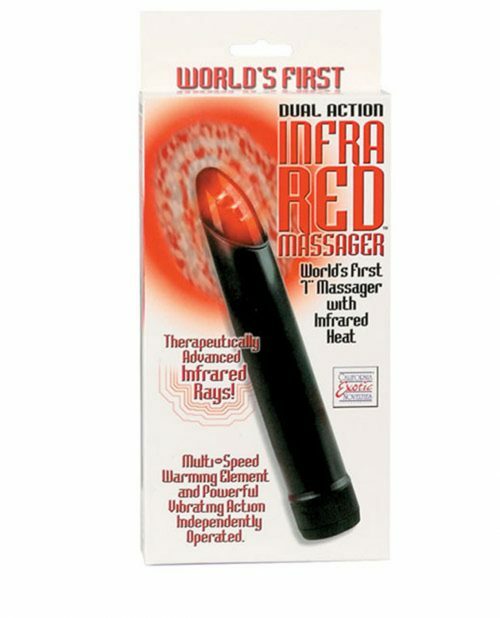 With the dual controls, the massager may be used with or without vibration and with or without infrared heat. Infrared heat is well known for its therapeutic value. It elevates the body temperature and stimulates blood circulation. Feel the difference!